Explorez les plages, les grottes et les criques de la côte portugaise de l’Algarve lors de cette croisière de 5 heures au départ d’Albufeira. 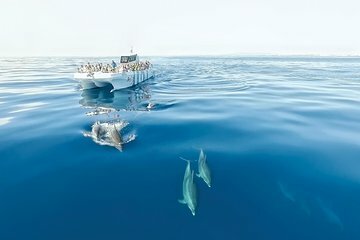 Plongez pour nager, faire de la plongée avec tuba ou du paddleboard; repérer les dauphins en train de nager et de jouer dans leur environnement naturel; et savourez un délicieux déjeuner barbecue sur une plage isolée. 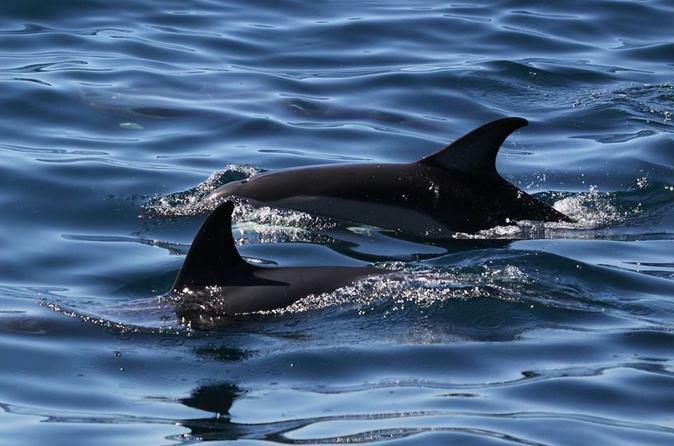 Spectacular day out on the boat where we came across a pod of approximately 50 dolphins, were treated to drinks on board followed by a tasty BBQ bunch and time to chill on the beach and frolick in the ocean. On our way back we followed the coastline and had a great view of the caves along the coast. Our guide Carla was entertaining and explained the sights along the way. What a fantastic excursion! We all left the boat with huge smiles and memories to last a lifetime. Thank you to the whole crew for such an amazing experience! We managed to see some dolphins, but even if we didn't your are allowed to rebook a free dolphin trip again. The caves were quite impressive. BBQ was organised instantly and the food was Top Notch. Ps Our son has a Shellfish allergy, which we informed them as we checked in, They cooked his food separately on a brand new grill and also served it to him using fresh tongs. No issues. Overall we would recommend this trip. Thanks Very much to you all.